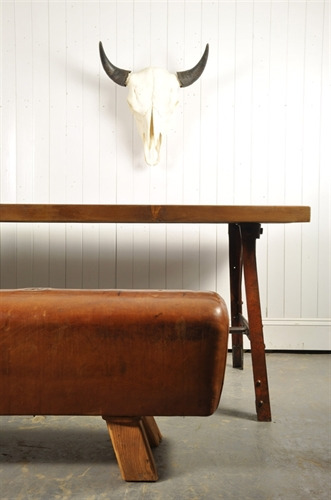 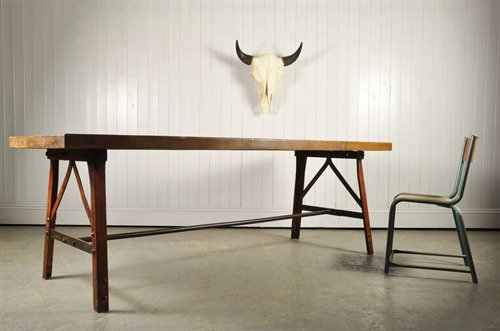 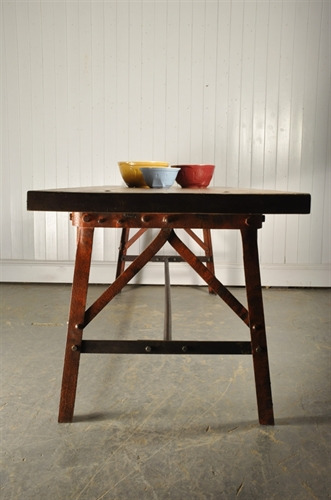 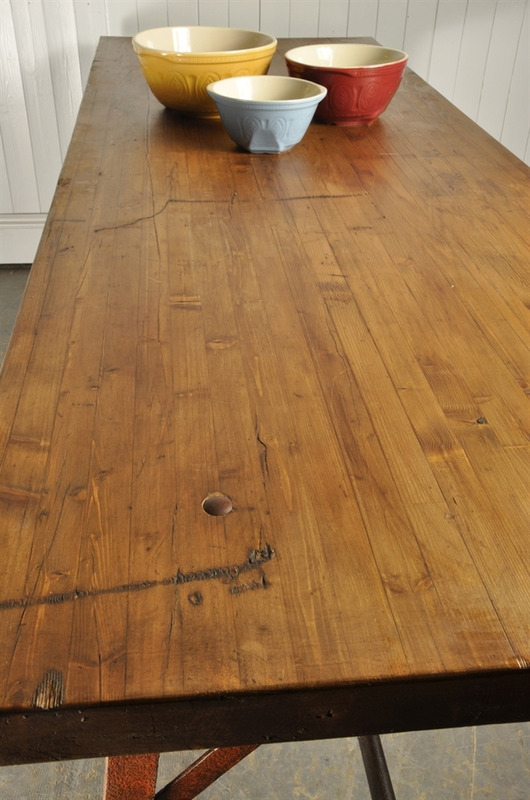 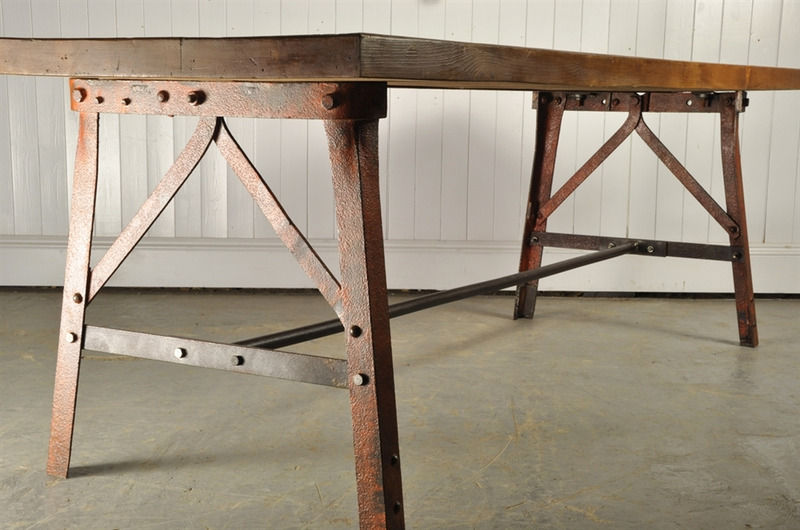 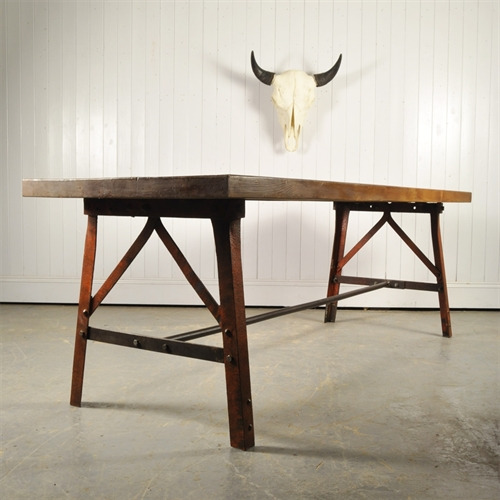 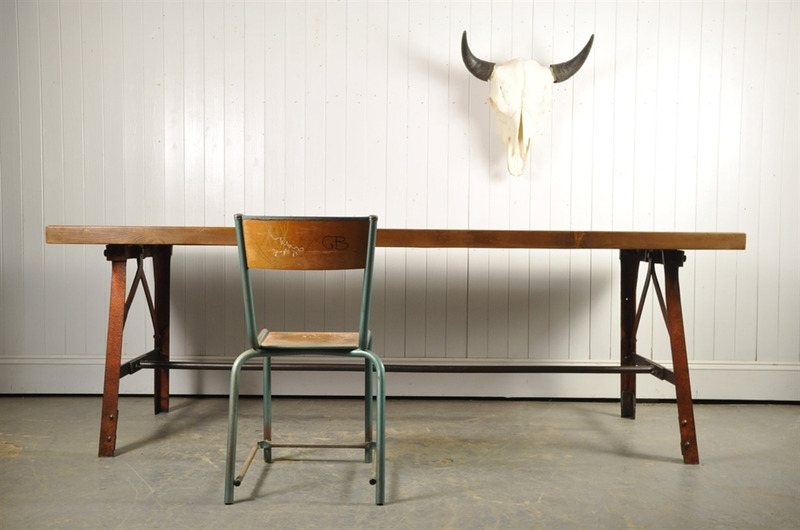 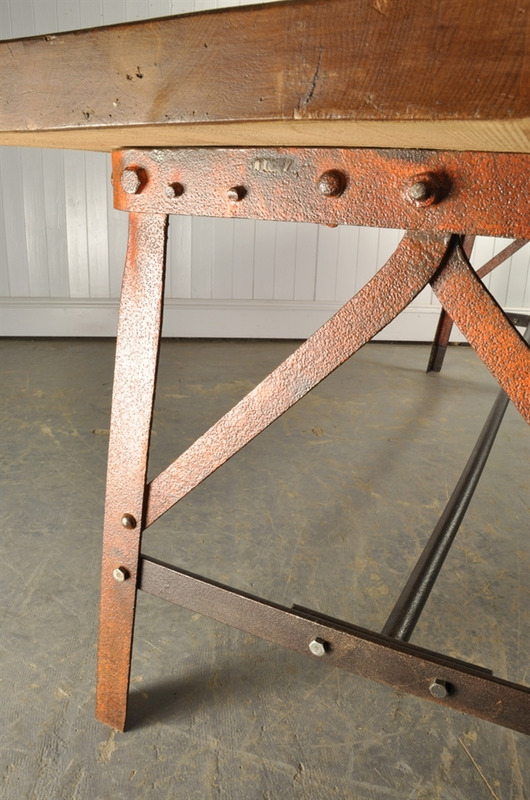 This table has been made from an old industrial base, sourced in Holland, circa 1900. 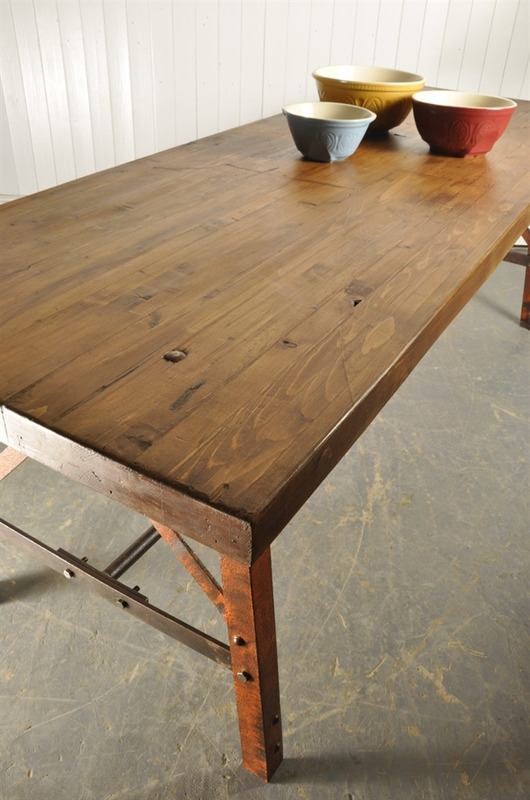 The top has been made from thick reclaimed pine. All in all a heavy and solid piece. 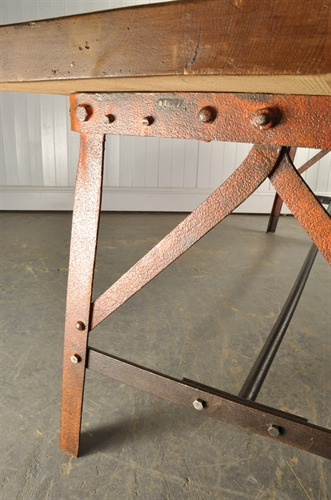 77 cm h 225 l x 80 d.